WE ARE A BOUTIQUE VENTURE CAPITAL FUND. WE INVEST IN PASSIONATE ENTREPRENEURS AND EMERGING/COOL TECHNOLOGIES. You can think of us as the delicious craft beer of the venture capital industry. We spend more time with our entrepreneurs than other investors are able to. We get more involved than other investors are willing to. We do whatever it takes to make sure that every single project reaches its full creative and monetary potential. We don't just invest money. We invest ourselves. Good is never good enough for the team at Fancy Hat. If we partner with your start-up it's because we fully believe it can be something GREAT. Also, we really do keep our office in Gilbert, Arizona filled with delicious craft beer. Stop by sometime. ARE WE THE RIGHT VENTURE CAPITAL PARTNER FOR YOU? There isn't any template for what we consider the perfect project to invest in. We are looking for great ideas formed by great people that can potentially disrupt the tech industry. We prefer early stage start-ups looking for funding in the $10,000 - $250,000 range and entrepreneurs who are open to guidance and a true partnership. Managed Admin was formed in 2012 and has grown quickly into one of the most trusted leaders in the Internet Marketing industry. They offer SEO services to companies of all sizes and also created the most comprehensive hosting platform for other SEO service providers. They are currently on pace to reach the INC 500 in 2017. Instant Data Centers is disrupting their entire industry with their innovative and patent pending modular data center solutions. Their "data center in a box" technology has proven to have 60% less energy consumption, increased data security, and increased stability over traditional data center solutions. IDC is poised for quick growth in 2016. The Content Media group of entertainment and news websites includes AdorableKittens.com, AmazingDoggies.com, and Taboo.news (just to name a few). Content Media has almost 1 million followers across it's Facebook pages and has over 1 million engaged page views every day. At the time of investment Content Media was in the red. Since partnering with Fancy Hat, they have grown to over $200,000 in monthly advertising revenue. 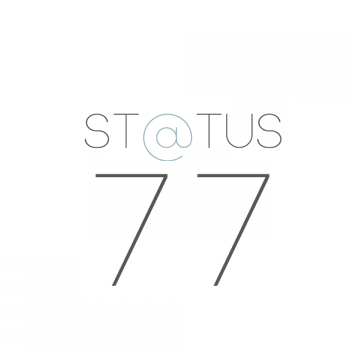 Status 77 has positioned itself as one of the leading domain investment funds in the world. Over the last 5 years they have sold over 10,000 domains and made over $5,000,000 in net revenue. They continue to be one of the leading investors in the domain industry by growing their portfolio of domain assets and creating new monetization technologies. With the growth of social media and the internet of things, reputation management is becoming more and more important. Bright Past has developed patent pending methods for controlling the online reputation of companies, celebrities, and other high net-worth individuals. Although they only launched in April of 2016 they are already on-boarding new clients on a daily basis and revenue is growing over 100% month over month. Origin Me was born out of necessity. As the world keeps changing, so do consumers, shoppers and businesses. Hundreds of billions of purchases were done online last year. Our goal is make sure your business gets a piece of the pie by selling these products on several marketplace platforms and your own storefront. E-commerce is being redefined. We initially went to Fancy Hat for some much needed capital for a new modular design. We ended up getting so much more than just money. Their team completely revamped our marketing strategy and put new systems in place that should increase sales by 300% this year alone. The entire experience has far surpassed our expectations and we have never been so excited for the future of Instant Data Centers.